That’s why I downloaded it. So at some point I could join a online meeting or webinar remotely, from the comfort of my own iPad. And that’s all I wanted to do the first morning of the Recruiting Innovation Summit this week, to join and run an important online meeting from the comfort of an armchair in a hallway adjacent to the event. This is a popular virtual meeting product that I assumed wouldn’t have failed – but it did. I tried five times to join that friggin’ meeting, and each time it failed. I’ve seen a lot of apps – both native and browser-based – and I’m still amazed at the seemingly lack of effective user interface (UI) testing. I’m sure you’ve heard various iterations on the phrase, “If you don’t use it, you’re gonna lose it.” And if your users don’t use it…well? To be fair, lots of technology companies, including those in HR and recruiting, have some level of UI proficiency on their product development teams. But again, all I wanted to do was join and run a virtual meeting, and I couldn’t. Just as busy, progressive professionals want to take their online profiles with them wherever they go, the same folk want to (and do) take their virtual offices with them wherever they go – that’s the kind of world we live in now. It’s an evolution of sorts, the world of work pushing us to be “on” at any time, dialing it up and down as needed, and us pushing back, dialing it up and down as needed. This includes seeking out and exploring new job opportunities. A growing contingent of professionals expect portable, expect flexible, expect a more diverse world of “easy buttons” that actually work. Here’s a juxtaposition though – when asked at the summit whether or not the attendees have a mobile-optimized career site, only about 2 of 200 raised their hands. 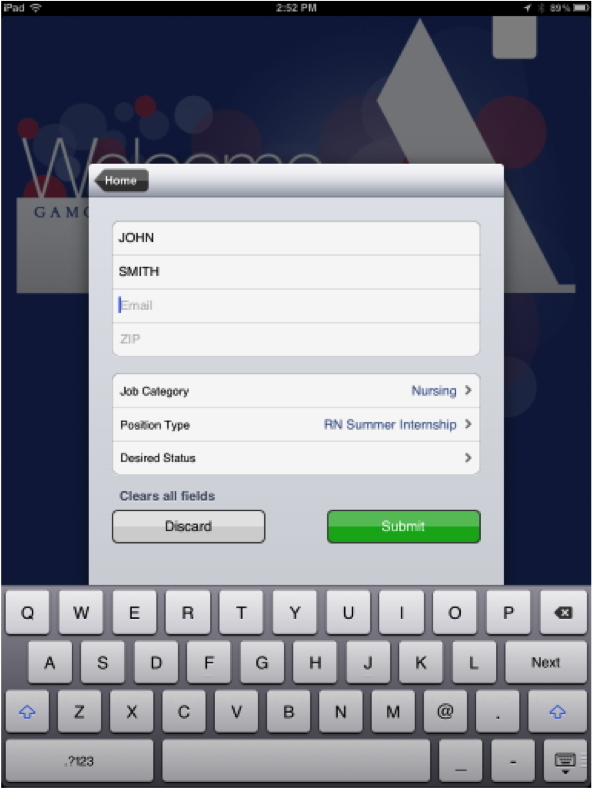 Make it easy for talent to signup at talent fairs using Talent Catch! Add to that the fact that according to Gerry Crispin and the Candidate Experience Awardsresearch, only a little over 50 percent of companies have applied for their own jobs online. What if I wanted to hit a hallway adjacent to an event I was attending and have a quick interview with a recruiter? Or even just simply finishing applying for a new role via a social referral I received? Or join a talent network via simply clicking on “Connect with Facebook” or “Connect with LinkedIn”? What if indeed. We’ve only just begun. If you wear your diving rado replica on a tux then you may appear pretty silly so make sure you avoid this kind of dress mistakes. Creation Watches the one stop online destination for wrist watches for both men and hublot replica sale brings you exclusive bunch of wrist watches that too from a wide range if international brand. Over the years, it has now established its name for one of the foremost brands in the watch industry. Today, it has pe rated across locations covering almost all geographical locations. It has gained a name in the fake rolex for sale wrist watch business serving top customers since years. The military watches from Sinn come in the water resistant type as well. Sinn watches are able to withstand bad weather. There is no use of buying a watch that stops working as soon as it comes in contact with water. Buy a waterproof replica watches sale that holds good at least at a depth of watches. Here is breitling replica sale for party wear, watches for weddings, watches for social gatherings and watches for formal occasions.